During Catechism, the children heard the story on Joseph and his brothers. They talked about virtues and sins, and how one sin invites another. During Serbian language class, the preschoolers and first graders practiced reading and writing and learned new words through games. 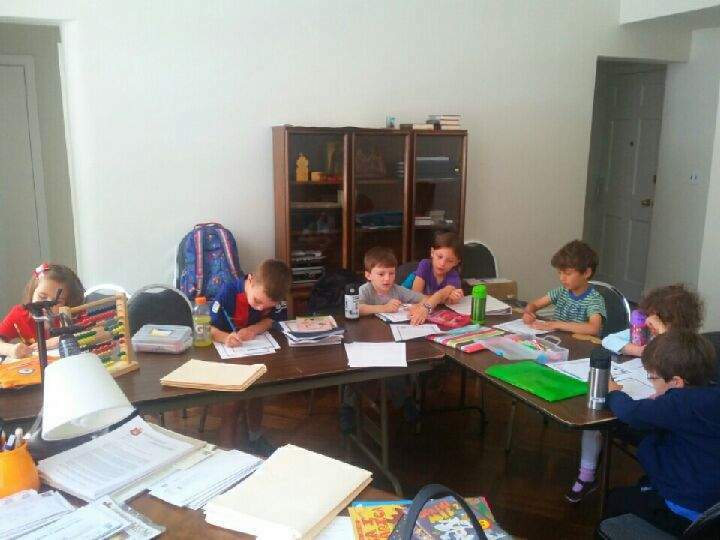 Older school children learned sound changes (palatalizacija), practiced gender of nouns, analyzed their homework and learned about large cities in Serbia. Homework for older schoolchildren: write 10 sentences using words in which there is a sound change, and 10 words about Vidovdan.